There are a few reasons you should make it a point to discover Mexico cruises. If you are an avid snorkeler or diver, you will find some of the best coral reefs in the world off Mexico’s coastline. The Sea of Cortez is one of the major byways for whale migration, and an array of marine life—from sea lions to manta rays to dolphin to manatee—can appear before you at any time. It’s a magical place for anyone that loves the water. But Mexico cruises are far more than just ecotours. The region is culturally rich with plenty of historical sites that everyone should visit once in their lives. Well-preserved Mayan ruins like Tulum and Chichen Itza are not to be missed. And, finally, a Mexico/Caribbean cruise can’t be beat if you just need to unwind and enjoy sandy beaches, duty-free shopping districts, restaurants, and bars. When you visit Mexico, there is no doubt that part of its unique personality will resonate with you. Cruise lines offer itineraries to Mexico year-round, though you’ll find the most options across a range of lines—from luxury to mass-market to budget options—from December through April. If you prefer to travel from May through November, there will be fewer cruise lines sailing the region but you’ll still find a plethora of options from major players, including Carnival Cruise Line, Norwegian Cruise Line, Royal Caribbean, and MSC Cruises. Note that the Mexican Riviera in August and September can be hot (32 degrees Celsius) and humid. Nearly every major cruise line offers itineraries that call upon Mexican ports. The main question you will need to ask yourself when selecting a Mexican itinerary is whether you want to adventure to the western Mexican coastline (where the northernmost point in the region borders California) or the eastern Mexican coastline which is framed by the Caribbean Sea. For most cruises that call on Mexican ports, you’ll embark/debark from a U.S. city. For itineraries that visit Mexico and the Western Caribbean, you’ll likely embark from Fort Lauderdale, Miami, Port Canaveral, or Tampa in Florida or perhaps New Orleans, Louisiana, or Galveston, Texas. You’ll spend at least 23 hours flying from Sydney to the Florida ports so try to arrive a day or two early so you can decompress and get some rest before your cruise. 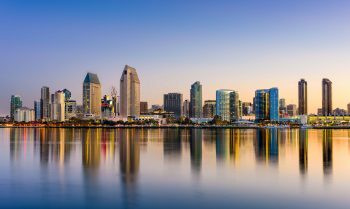 From the west coast, most cruises from Los Angeles, San Pedro and cruises from San Diego in California focus on Baja or the Mexican riviera. When you hear about Mexican Riviera cruises, it means those voyages that focus on sightseeing along Mexico’s ‘Gold Coast’ along the northwestern coastline on the Baja California Peninsula. The cities along the way are some of Mexico’s most developed and that means there are plenty of tourist-friendly attractions, restaurants, and shopping districts. 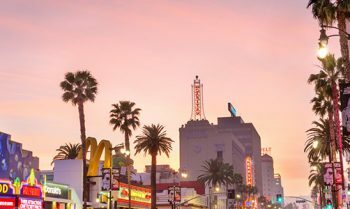 Some of the most well-known cities on the Gold Coast include Ensenada, Tijuana, and Rosarito. If you’re looking for a holiday that combines some cultural excursions with beautiful beaches and watersports as well as fine dining and bar-hopping, the Mexican Riviera is ideal. 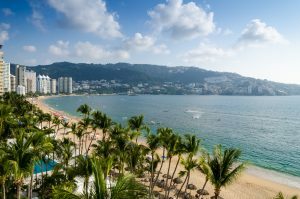 Expect to visit ports like Acapulco, Mazatlan, Puerto Vallarta, Manzanillo, and Cabo San Lucas. Look forward to shore excursions on the water that include activities like snorkelling, diving, kayaking, and paddle-boarding. On land, some cruise lines even offer you the opportunity to ride a camel in the Baja desert. If you’re trying to find a cruise line that excels in Mexican Riviera itineraries look for Carnival Cruise Line, Norwegian Cruise Line, Disney Cruises, Princess Cruises and Holland America. View all Mexican Riviera cruises. Itineraries that visit the Sea of Cortez (also known as the Gulf of California) are for anyone that wants a more authentic and active adventure. Look on a map and you’ll see that the Sea of Cortez is a dividing line with the Baja peninsula on one side and mainland Mexico on the other. On the peninsula, Baja California is to the north and Baja California Sur, with wildly popular Cabo San Lucas at its tip, is to the south. Other Baja California Sur ports include Loreto and La Paz, the capital of Baja. The vast Reserva de la Biosfera El Vizcaino (national park) separates the two California Sur regions. 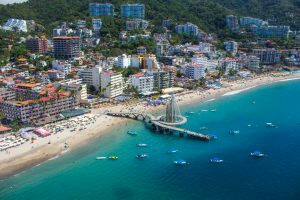 On the mainland side of Mexico, you’ll visit ports like Guaymas in Sonora, Topolobampo and Mazatlan in Sinaloa, and Puerto Vallarta in Jalisco. If you’re into whale watching, you’ll want to visit the Sea of Cortez, a major highway whales use to make the trip from Alaska each year during high season. That’s January through April. You’ll see blue whales, especially near Loreto, fin whales (that can be seen nearly anytime between December and May), California gray whales (that love to hang around Magdalena Bay in February and March), and other species. There are a wide range of other animals to spy during your Sea of Cortez voyage too. Look for dolphins and sea lions as well as manta rays and all manner of tropical fish and birds like pelicans and blue-footed boobies. When you’re not on the water, look for the flora and fauna of the desert mountain range, which offers an ideal tableau for hiking and mountain biking. View all cruises to Baja Mexico. 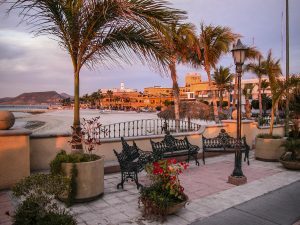 Probably the most popular Mexico itineraries are those that visit both Mexico and the islands of the Western Caribbean. Embarking from ports in Florida, expect to visit Caribbean favourites like the Cayman Islands and Jamaica. 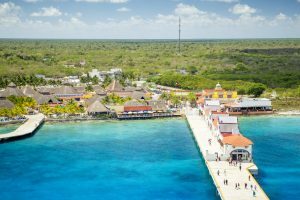 In Mexico itself you can usually count on ports like Cozumel and Costa Maya in Quintana Roo on the Yucatan Peninsula. Your ship may also call on a port in Belize and Honduras’ Roatan. These trips are all about fun in the sun and enjoying watersports. You can sit on the beach and sip cocktails, go ziplining, swim with dolphins, snorkel or scuba dive, visit an eco-park, helmet dive, learn to standup paddleboard, sail aboard a catamaran, and so much more. However, in Mexico you can also visit some important cultural sites—like the Mayan ruins at Chichen Itza and Tulum—during shore excursions from Cozumel. There is something special about every port in Mexico, but here are three can’t-miss spots that will make any cruise to the region special. Cozumel is a wildly popular vacation spot but it never feels all that crowded. 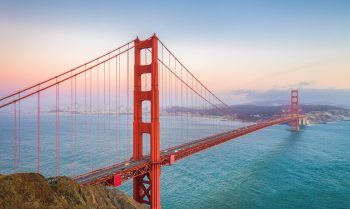 There are plenty of spots where you can get away from the other tourists. In fact, only one-third of this island off Mexico’s Yucatan Peninsula has even been developed. That means you’ll find miles of undisturbed beach coastline as well as jungle landscapes. San Miguel is the focal point of Cozumel and it’s where you’ll find duty-free shopping plus spots to purchase local jewelry, crafts, and other souvenirs. This part of Mexico is known for excellent snorkeling and diving locations at healthy coral reefs so be sure to book an excursion or, at the very least, spend the day lounging on the beach. If you’d prefer to learn more about the culture of the region, take a shore tour to one of the major Mayan ruins. On the island that means exploring San Gervasio and El Cedral, or you can book a daytrip to visit Tulum or Chichen Itza on the mainland. It will be a long day but well worth it if you are intrigued by Mayan history. Cabo San Lucas, at the southern tip of Baja California Sur, is an important port of call on both Mexican Riviera and Sea of Cortez itineraries. This is not the destination that will give you a deeper understanding of the Mexican culture. In fact, it’s very much an American-style party town and has its own outpost of Senor Frogs (a chain of bar/restaurants that appeal to those seeking a loud/good time). But, it’s a great jumping-off point to enjoy the pristine beaches, snorkeling and diving, paddelboarding, or kayaking. You can even try parasailing or rent a Jet Ski here. And, this is the place to be if you love sportfishing. Take a tour in search of marlin and a cold beer. 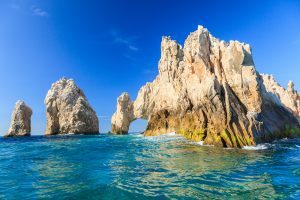 You must head to El Arco, a pair of rocks that marks the spot where the land ends at the Pacific Ocean and Sea of Cortez. It’s a quintessential photo opportunity that every visitor has to capture. You can see the arch made by the rocks from the marina or Medano Beach. Several tours—from glass-bottom boats to catamarans or kayaks—will take you out to El Arco for an up-close and personal look. This area is known for excellent sea life so pair the visit to El Arco with snorkeling or diving. You’re almost assured of seeing parrotfish, manta rays, and even sea lions. If you’re not in the mood for active adventures and Cabo seems too built up for you, explore the quieter town of San Jose del Cabo, which is a 20-minute drive. Whereas Cabo San Lucas is touristy and gimmicky, San Jose del Cabo is charming and quaint. Visit the historic mission and then shop for handmade products from local artisans. One important thing to note about Cabo San Lucas: It’s a tender port with no dock so leave plenty of time in your schedule to grab the tender to and from shore. La Paz was once a sleepy fishing village but is now known as the epicenter for ecotourism. For expedition ships featuring Sea of Cortez itineraries, La Paz is either an embarkation/debarkation point or a port of call along the way. Located on an expansive bay on the Sea of Cortez, La Paz is the capital of Baja California Sur. It’s a place where marine life thrives and some of the world’s most magical sunsets take a bow each and every day. The waterfront promenade—Malecon Alvaro Obregon—is a lovely place to explore, and you should also spend some time at a local beach, known for super soft sand. Enjoy the Sierra de la Laguna mountains in the background and watch for whales in the bay. Bring your binoculars to La Paz because it’s an excellent place for birding and you never know when you’ll see a dolphin jump out of the water as you scan the horizon. If you love sea lions, visit Los Islotes, where a colony lives full time. For that reason, they are used to people and often interact with nearby divers and snorkelers. And, if you’re brave, take a tour to swim with whale sharks. It’s an invigorating experience but you can stay on the boat if you’d prefer to see these impressive mammals from a distance. Be sure to enjoy a meal in Laz Paz, where traditional Mexican cuisine is available at a variety of restaurants at an affordable price. Finally, stop by La Fuente for some homemade ice cream. It’s legendary.